Clubs come, go and regularly change hands in Seoul, but one that isn't going anywhere is Octagon. Opened in 2011 with a long-term vision, this space-age engine room is the closest thing South Korea — or the Far East for that matter — has to Fabric. 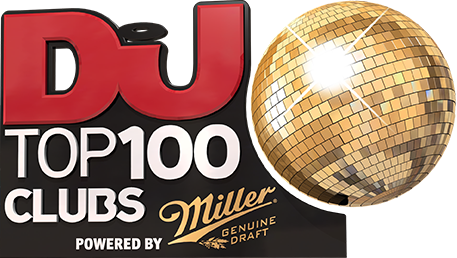 As a result, its steely walkways, forcible Funktion One soundsystem and gourmet chef have found a place in our Top 10 for a consecutive year on the bounce. Surfing in on a wave that saw the harder-edged end of EDM really take off in South Korea, other clubs in Seoul have slid down the poll, but this one has climbed. There’s no prizes for guessing what you'll hear in Octagon's explosive jet-black box of a main room. However, beneath Octagon's obligation to give Korea's high octane clubbers exactly what they want, there's a more conscientious undercurrent at work. Coyu and Sonny Wharton are both regulars here, while Sebastien Leger, Nick Fanciulli, Fedde Le Grand, Cristian Varela were asked to man the place in 2014. Then there's local residents Beejay aka F_F and Arikama, helping to turn young heads onto the understated grooves of house and techno. There's much more to Octagon than EDM.